Since the 1980s, an increasing number of black writers have begun publishing speculative-fantastic fictions such as fantasy, gothic, utopian and science fiction. Writing into two literary traditions that are conventionally considered separate -- white speculative genres and black literary-cultural traditions -- the texts integrate an African American sensibility of the past within the present, with speculative fiction's sensibility of the present within the future. Thaler takes stock of this trend by proposing that the growing number of texts has brought forth a genre of its own. 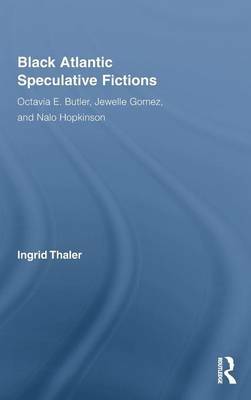 She analyzes recent fictions by Octavia E. Butler, Jewelle Gomez, and Nalo Hopkinson as in-between color-coded literary and cultural traditions by paying particular attention to concepts of literary history and time as well as postcolonial notions of hybridity and mimicry, race, and identity. The study treads on new ground since it not only offers a broader scope of the various speculative genres in which established and emerging black authors currently publish, but also shows that these fictions contest conventionally accepted notions of white genres and black traditions and, in consequence, of (post-)postmodern literature and popular fiction.